and the founding of Plymouth Colony. 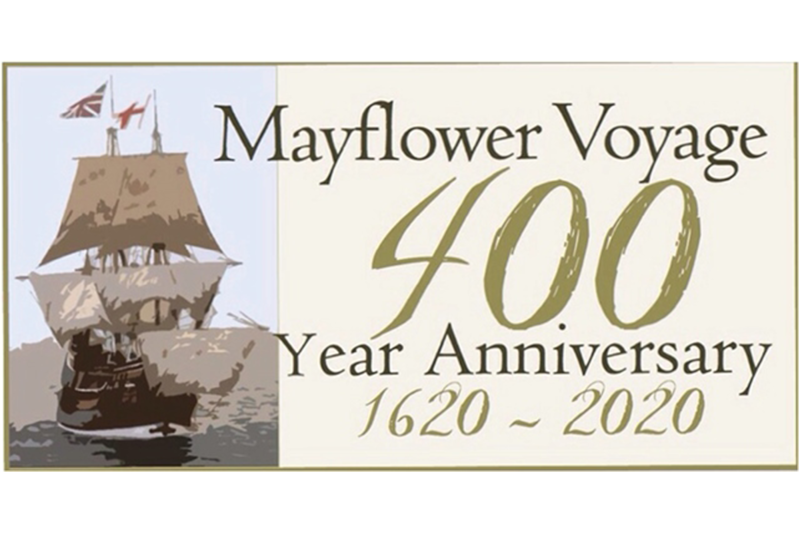 Just a few short years from now, 2020 will be upon us, marking the 400th anniversary of the voyage of the Mayflower and the founding of Plymouth Colony. This is an exciting opportunity for GSMD to commemorate our Pilgrim ancestors and to share their inspirational story with the world! To organize commemoration events and initiatives, GSMD has created a planning committee at the national level. Many of our 52 member societies are preparing for the 2020 Commemoration as well. Here, you will find everything you need to know about our plans for 2020 and the plans of our member societies, so check back often for updates. GSMD's first 2020 initiative is to push for the United States Congress to pass an Act directing the US Mint to issue a commemorative coin series recognizing key historical elements surrounding the Mayflower voyage and the establishment of Plymouth colony. Whether you are a member of GSMD or not, whether you are a Pilgrim descendant or not, we are asking for your help to make this project a reality! This project is for everyone, so keep reading to see how you can help. OUR GSMD COIN PROJECT IS NOW BEFORE THE US LEGISLATURE AND YOUR HELP IS URGENTLY NEEDED!